Deputy Chief Minister and Minister for Home & Disaster Management N. Chinarajappa, along with Director General of Police R.P. 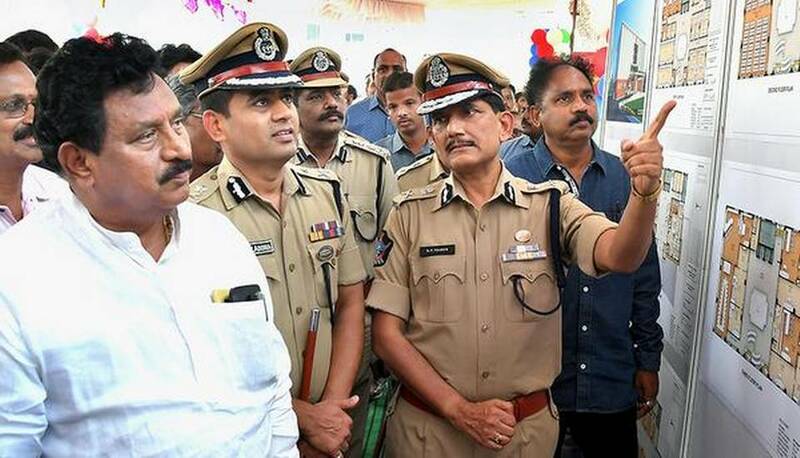 Thakur, laid foundation stones for several police building complexes and offices, including a new building for the Commissioner of Police, all worth ₹36.5 crore, in Visakhapatnam on Tuesday. The projects include an office for the Assistant Commissioner of Police (ACP) at Yendada junction built over 12,000 sft with a budget of ₹2 crore, Arilova Police Station at Hanumanthuwaka junction built over 20,000 sft with a budget of ₹5 crore, Maharanipeta PS near KGH area built over 18,115 sft with a budget of ₹5 crore, an office for the Commissioner of Police at Suryabagh built over 58,000 sft with a budget of ₹20 crore, and an office complex for the DCP at Pandimetta built over 16,000 sft with a budget of ₹4.5 crore. Addressing newsmen, Chinarajappa said an amount of ₹75 crore has been sanctioned for Visakhapatnam city for building various police offices, complexes, and houses. He said work will be taken up for each project gradually, and said the projects would be completed in two years. DGP R.P. Thakur said since 2018, work on 39 police stations has been initiated across the state, with a total budget of ₹65.9 crore. He said out of 39, work on 17 new police stations has been completed. Mr. Thakur said they are identifying requirements and are setting up police stations wherever necessary, and added that the police department is adequately staffed.